How to use GatherContent to create your help documentation. Creating help articles in GatherContent is very similar to managing ongoing blog posts, although help articles require more governance in most cases. The Workflow is probably a little different too, more focused towards governance rather than the simple production of content. What you might find is that very similar to a blog or even a website, you’ll start off by creating Content Types or Templates for different help article types. You might consider the presence of video or media assets in some of your help articles, maybe code snippets if they are technical articles too. 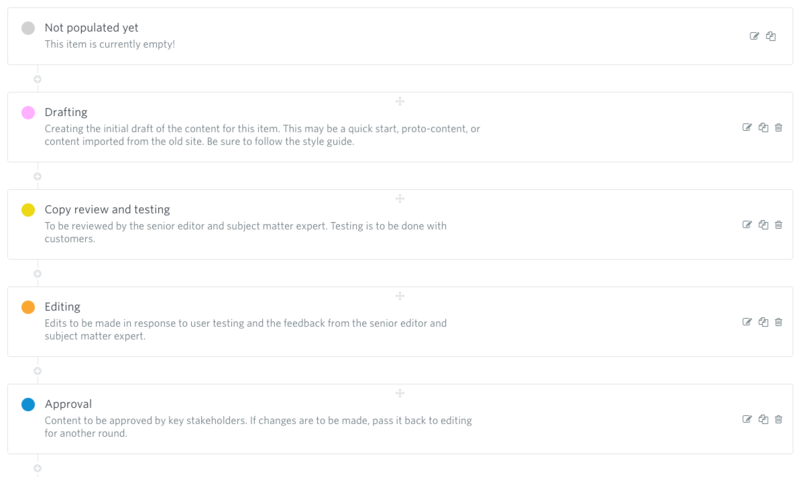 Once you’ve setup your Content Types and created Structures for those in your Templates in GatherContent, customise all your fields with the relevant guidelines for your authors. This is very important when you’re creating help articles to ensure they are consistent in tone and all valuable to your readers. You might create subsections if your help section is very large or you might even create multiple projects. Then you can go about creating all your help articles by populating them with content. You could also put a due date on an extra Workflow status called ‘expired’ or ‘due for review’. This means that in a months time or six months time, whenever you think that help article might need to be reviewed, you will get reminded to review these pieces of content. This makes sure your content remains relevant and accurate, and therefore always helpful to your readers.